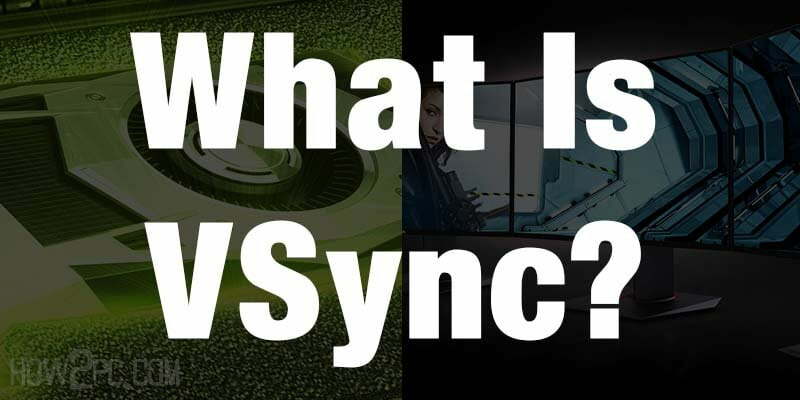 Home How It Works What Is VSync, and Should We Turn VSync On or off? Here’s a little guide towards What Is VSync, and Should We Turn VSync On or off? While playing videos games on your PC, we often get screen tearing. Did you ever wonder why the screen tearing happens in your PC and did you ever try to overcome this problem? In today’s topic, we shall be discussing, how to overcome the screen tearing, and why this happens in our PC. Though the screen tearing is not only limited to playing the video games, we can have this happened on watching some high definitions videos, or using some bulky applications or software on our PC. The reason of happening it the same, thus, will be fixed in the same manner. To get this pinned, we have to look back how the graphics processed in our computer. The computer has a way to show graphics on our screen, in tech term it is called Rendering of the graphics. And to get the rendering of the graphics, in computers we use the graphics card, or there can be interaction of graphics in our processors and GPU would be dealing with it. So, the only task of the graphics card to show visuals on our screen, we use to watch movies or play video games, this is just because the graphics card tells the monitor to draw the visuals in that particular order. When we call our graphics processor to render 3d Visuals, then it means it will process the 3d objects. The graphics card renders the 3d objects, and it creates the frames to provide the drawings to the monitor, the rate at which the Graphics processor creates a 3d drawing is referred to as Frames per second FPS in short. The higher the rate of producing FPS, the smoother your game will look like. Now, the problems come, when the rate at which the processor outputting the frames, do not intercept with the Monitor, because the monitor is not capable of doing this. Our monitor tries hard to keep up the frames the graphics card is producing, the maximum amount of FPS a monitor can display is called as its refresh rate, and it is referred in GH. A mediocre monitor can show up 60 frames per second, and when the frames produced by the graphics card per second overtakes the capability of the monitor to show that, the screen start tearing. There are monitors, who can take up to 120GH, 144GH, and even 240 is. But, they also get caught up the screen tearing, whenever FPS overtakes the refresh rate, the tearing take place. As I mentioned, the only task of V-sync to eliminate screen tearing in PC, and produce smoother results. The work what V-sync does is quite simple. V-Sync imposes framerate cap- and aims to match the graphics processors frames equal to the monitor’s refresh rate. And when this happens, we see smoother going of the video games, clean visuals. It imposes the graphics processors to provide only the numbers of frames what the monitor can intercepts. The output is obvious, this prevents the screen tearing from happening because the GPU would not be taking more frames than what monitor can display. 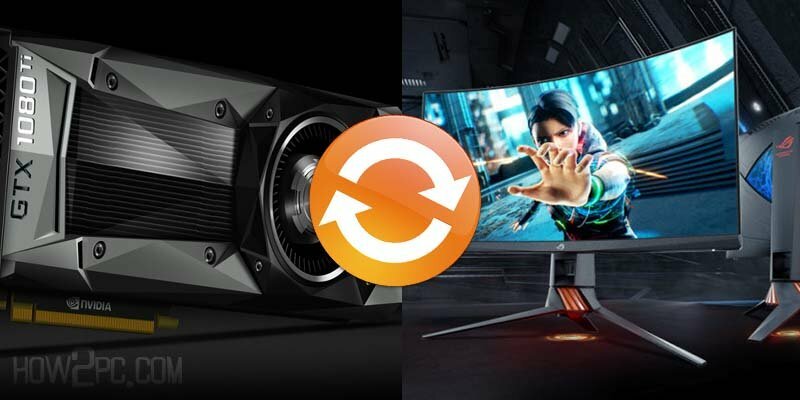 V-Sync is beneficial if you are experiencing screen tearing, and of course, the V-Sync brings the graphics processor down to the level of Monitor’s refresh rate. And you will be getting a smoother experience on your screen. V-Sync can also be proved beneficial while playing some old games. But, the real problem is the V-sync actually reduces the maximum FPS on our PC. V-Sync limit our PC framerate to as low as 30, as GPU consistently fails to cap FPS to 60 FRAMES per second. So, can we deal with this problem, it can be addressed by using triple buffering, though this may further dig you into more issues. We have clearly seen the problems created by using the V-sync, this is what we mentioned the default V-sync, what is being used in our PC for years. But, now, the tech biggies have come up with something more powerful which got very fewer side effects. This feature only can be obtained by on NVidia. NVidia dealt with V-Sync low FPS rate interestingly. This technology enables the V-Sync c when the FPS rate increases the monitor’s refresh rate when the FPS start lowering it get the V-Sync off. It happens all the time, whenever the FPS starts increasing to the refresh rate, every time it gets enabled, and control the FPS rate. Though NVidia G-sync came after the adaptive V-Sync, the former clicked and does ingenious work in adapting the FPS to the monitor’s refresh rate. The result is a smoother screen, smooth gaming control, no tearing and no stutters. You need to have G-sync capable Monitor, plus NVidia GPU. The catch is the same, the job is the same, and the result is the same. The different is, you will have to get AMD GPU to get this enable. Should we turn VSync on or off? But if you do not have any support of above-mentioned technologies, the question remains the same- should we use V-sync or not? There is no absolute answer to this. You will have to check this on your device. Get the settings on, and play the games, if you are consistently achieving 60 FPS in the game, with no dips, then there is no harm in using V-sync. And if you are dealing with dips in FPS from sub 60 fps to over 60 fps, then you should have to deal with some other way. Try enabling triple buffering, and if you do not have this support, or this thing not fixing your issues of FPS, you should tweak the graphics settings around a bit, and check if you get 60 FPS consistently. This was a little guide towards V-Sync, and I believe you will get quite a help from this piece. Next articleAdBlock vs. AdBlock Plus: Pros & Cons and What’s the Difference?